Celebrate the beauty of fall at Autumn at the Arboretum! 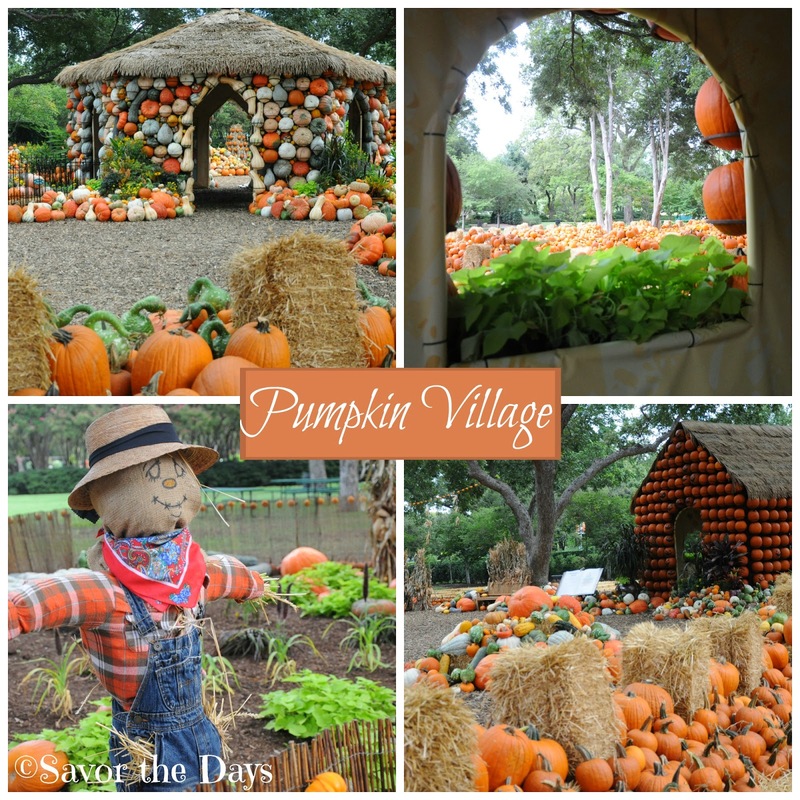 The highlight at the Dallas Arboretum and Botanical Gardens is the nationally acclaimed Pumpkin Village and a garden filled with more than 65,000 pumpkins, gourds, and squash. 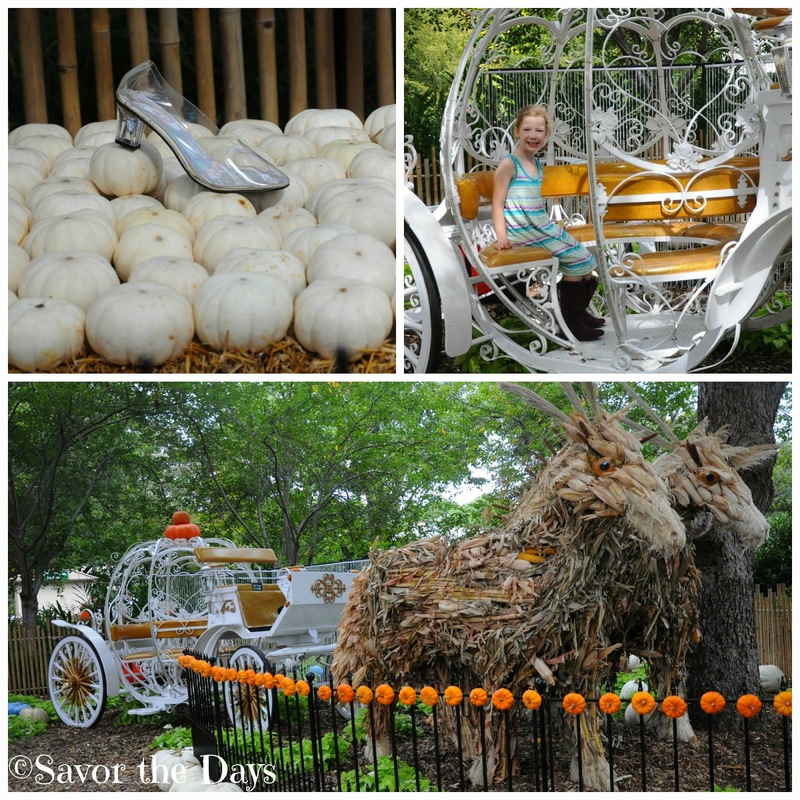 In fact, Fodor's has named the Dallas Arboretum one of "America's Best Pumpkin Festivals" this year! We would have to agree. The main display includes 6 representations from the children's books, "Pumpkin Jack", "Too Many Pumpkins", "Strega Nona's Harvest", "Pumpkin Town! ", "Scarecrow", and "Cinderella". Four of the books are found in storybook houses like this one for Strega Nona's Harvest. Inside the house, the story comes to life with illustrations and text from the book. 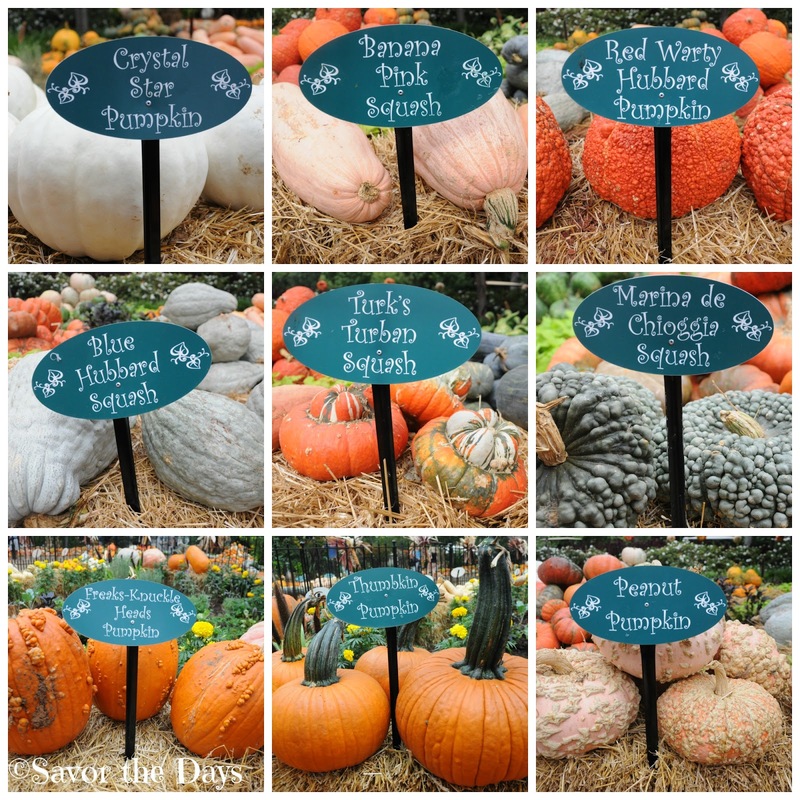 More than 53 different types of pumpkins, gourds, and squash are used to create beautiful scenes. One clever grouping is a river of Jarrandale pumpkins with swan gourds swimming on top of the lake and a bridge that leads to the "Too Many Pumpkins" house. My kids ran from house to house. They were so excited to see what awaited them at the next storybook. Of course, pumpkins of all shapes, sizes, and colors were found all over the village. There was a ton of fun to be had at the hay bale maze. We ran through the maze and then my kids started trying to leap over the bales! 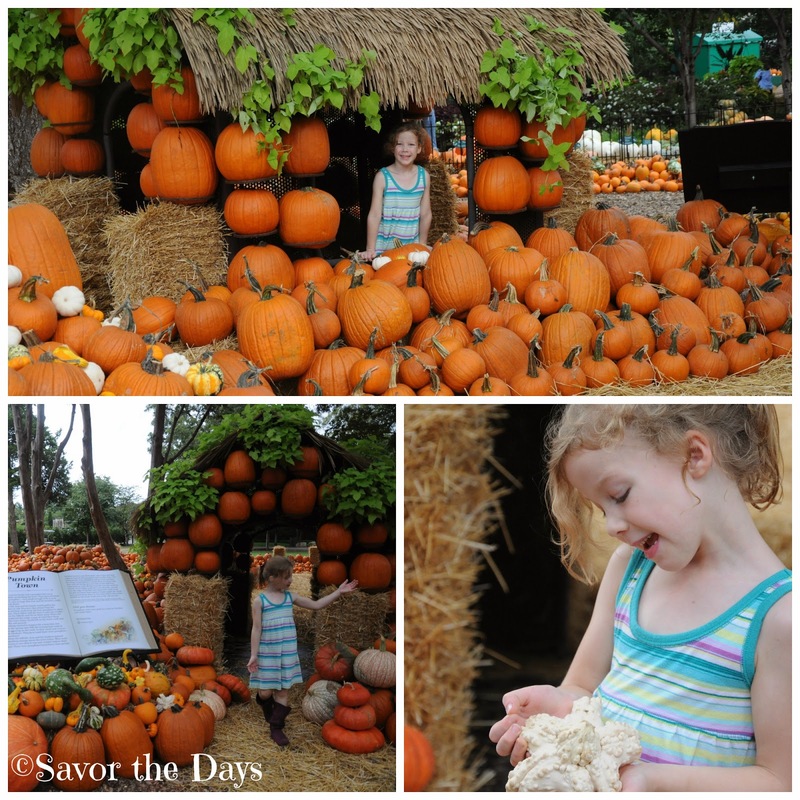 The Pumpkin Village is a great place to share some wonderful stories with your kids but it is also a great way for them to play and use their imaginations! Rachel adopted this little pumpkin house as her own. She showed me around and introduced me to her baby pumpkin that she was caring for. While Nicholas found a gourd that made for the perfect pirate hook hand! Of course, there are tons of great photo opportunities at Pumpkin Village...if you can get your kids to sit still long enough! We all enjoyed learning about the different species of pumpkins on display. Who knew there were so many different kinds? Last but certainly not least, we visited Cinderella's carriage! Rachel was most excited about climbing up into the carriage to be a princess herself. There are plenty of activities for everyone during the festival including Mommy and Me Mondays and Tiny Tot Tuesdays, 10:00 - 4:00 every Monday and Tuesday through November 25. These days feature a petting zoo, nature art, face paintint, and Kindermusik on the Martin Rutchik Concert Lawn. Harvest Tea is served Monday through Friday through November 26 with seatings at 11:00am and 2pm. A three-course seasonal tea service is served for guests 13 and older. Advance reservations required by calling 214-515-6511. But of course, my kids couldn't wait to make their way over to the Rory Meyers Children's Garden next. The Dallas Arboretum and Botanical Garden is located at 8525 Garland Road, Dallas, Texas. Admission prices are $15 adult, $12 senior, $10 children ages 3-12, children 2 and under are free. There is an additional charge of $3 per person for the Children's Garden. On-site parking is $10 but you can get discounted parking online. For more information, please visit the Dallas Arboretum and Botanical Garden website.